So much seems so... weird about it, I guess, that I was a bit worried about whether or not it might be a copy, as the tuners, bridge, jack, inlay, and nut didn't look like any Tokai I'd ever seen. I almost passed on picking it up, but then I found this catalogue page on the Tokai Registry, and most of those worries fell away. The auction just finished, so I haven't gotten my hands on it yet, but my current bass is a Greco Rickenbacker 4003 copy, and it really sings, so I hope my next MIJ bass can measure up. That said, has anyone ever seen one of these floating around? 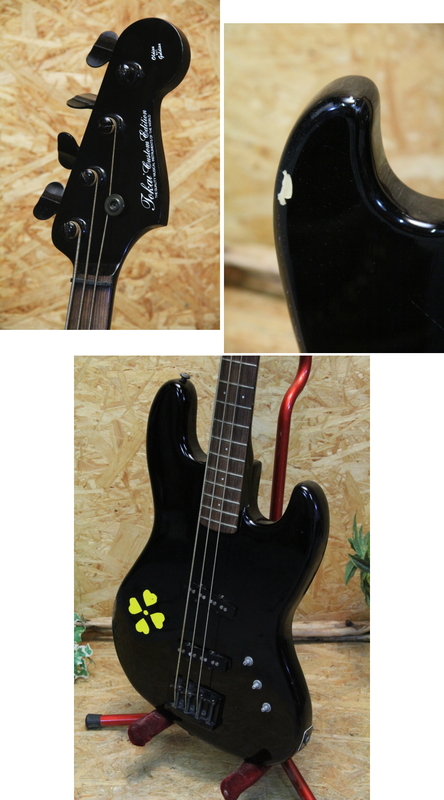 Even this one seems to have a different logo on the headstock than the one in the catalogue. Also, the bridge seems to be crooked, is that intentional? Also, guessing that this thing has active pups, but why does it have two compartments? One to access the electronics, and one for the battery? 1. The truss rod moves! In fact, it was barely even tightened. It was a bit tough to turn, for reasons I'll explain later, but a few quarter turns put it straight. 2. No noise from the jack. With DR Hi-Beams on it, gives a killer clean tone, with no rattles or pops. 3. Awesome tuners. Smooth action, nothing to replace. Never seen/used this kind before, but they work well. 4. Bridge. Nice, hefty bridge. Seems kinda like they tried to copy a Badass. Screws are a bit rusted, but move well. Super easy to adjust. 5. Nut. Can't tell what exactly it's made of, seems like either graphite or nickel silver/brass that's been painted black. Anyway, I hate having to get replacement nuts, so I'm glad that I don't have to mess with it. 6. Neck. No splits or cracks, aside from the finish. Actually, I thought it might be solid rosewood until I found a spot where the finish had cracked off near the fretboard. It's a really thin rosewood fingerboard (1/8"-1/12") on maple. 7. Pups. Sound good as far as I can tell. More in a bit. 8. Legit. Took off the neck and found "55" written in the socket in wax pencil, matching the sticker on the heel of the neck. As far as I can tell, it's legit. 1. RUSTED. I only realized now which part of Japan I had ordered this bass from. Turns out it was Sendai, one of the harder hit areas. There's a lot of rust/oxidation in line with what you'd see from exposure to salt water. Lots of pitting, etc. Pots are pretty heavily oxidized. 2. REALLY RUSTED. Yeah, of the three pots, I could only get the one for the bridge pup to move. The shaft for the neck pup one broke in half when I was trying to loosen it up, and the tone won't move at all. 3. Neck geometry. After getting the neck straight, I still couldn't get the strings in a comfortable position. Set the bridge to flat, still way too high. So, got out the masking tape and put together a shim. Much better, but still needs some tweaking. 4. Cracks. This thing's been beaten up a bit. The finish is a bit marred, the salt water has caused a lot of the finish at the fingerboard to start chipping/flaking, there's a fat crack in the top of the body, near the neck pup, and a hairline crack at the neck socket. Took off the neck and unscrewed the pup, neither crack seems to go down into the body. 5. Frets. Might just be the style of the frets, but they're all flat at the top. Still plays w/o fret buzz. 6. Fretboard. Completely parched dry. Needs oiling. 2. MYSTERY ROUTING. The bridge wasn't straight, and I wanted a good look at 'er, so I took it off, and there was a small, dime-sized spot that had been routed in the body, I'm guessing in order to hold a piezo pickup under the bridge. There's a hole for a wire that leads from the spot under the bridge directly to the battery compartment. What's weird though, is that there's (seemingly) no place they could have fit a pot for it. The electronics compartment is already pretty packed. 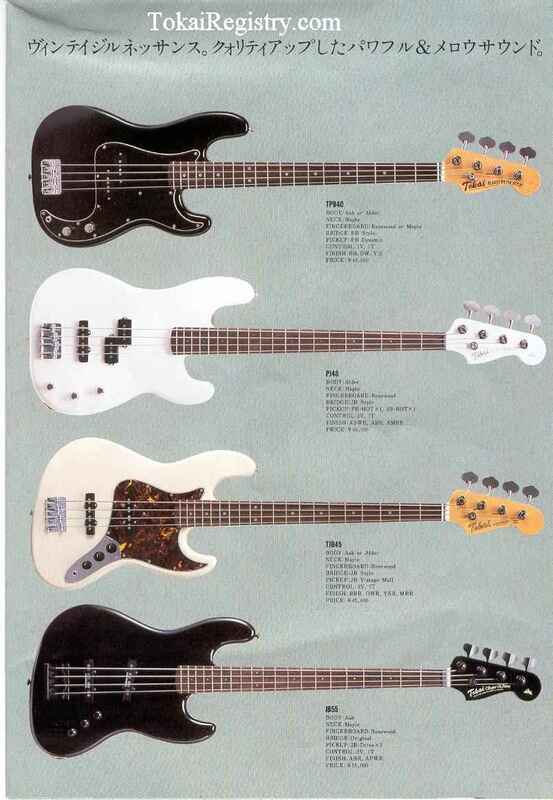 Anyway, if anyone knows about a piezo option on this bass, please let me know. 1. Is there anything I can do besides shimming to get the action lower at the higher frets? This creaking is kinda freaking me out. 2. What's up with that mystery routing at the bridge? Was there some sort of option for a third pickup? 3. Is there anything you can spray on oxided pots to get them unfrozen? 4. Has anyone ever come across one of these before? Can you tell me any more about it? 5. What the heck is that nut made from? Anyway, thanks for checking it out, I'll post pictures soon.